We here at TWHL are sick of seeing the same old maps. Instead, we want to see maps from other games! 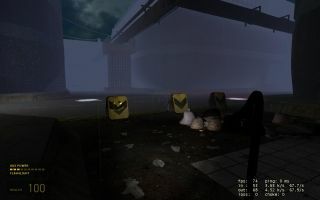 Your task is to recreate a level from any game for Half-Life 1 or Half-Life 2. 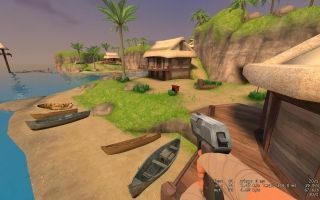 You can choose any game you want, but you MUST provide at least two screenshots of the game you're recreating, as well as the game's details. We will be judging how well you establish the original level in the Goldsource or Source engine. We will also be judging how well you 'refresh' the content: think about the Black Mesa modification for Source for an idea of what we mean. The more creative you are, the better! There are prizes on the line this time round as well. Check the thread for further details. After lots of delays, here are the results for competition 25. Besides the standout entries, I was fairly disappointed with the quality of the entries this time around. Ant, being the genius he is, decided to delete all his steam games, and therefore couldn't judge. (he has dialup, so it'd take him a year to redownload everything). I decided to drop the sugar coating this time around and offer some real criticism. Please don't kill me. This entry stands out above the others. The architecture is outstanding and it looks very much like the original. The rain and the music combined with the lighting set the scene for easily the best map in the competition. doodle has returned yet again to enter this competition with an amazing TF2 map based on Outset Island from Zelda: Wind Waker. With very nice looking water and some good improvisation, this map looks very impressive. Yes, pong. While this entry doesn't look the best (hell, it doesn't look at all), the entity work is outstanding. Clearly a lot of work has gone into getting this to work as well as it does, even though it has some bugs. 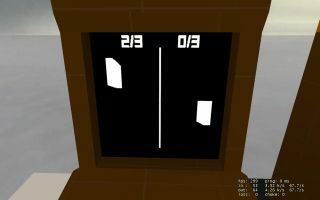 There's even two machines so you can play with someone else, of you can switch control of the paddles by clicking the mouse, and play against yourself. This entry is a decent attempt at a horror-kind of map, but it just falls short of capturing the essence of the original in AVP2. 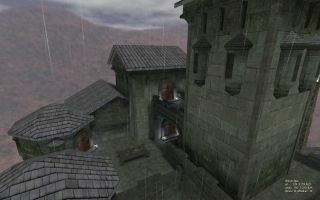 Some of the brushwork shows use of HL1 techniques in source, which should be avoided. Nethertheless, it is a good entry in its right. It was disturbingly short, though. Captain Terror gets third even though his entry was a few hours late. The brushwork and small details make this a very interesting map. I've never played Starcraft myself, but this seems very close to the buildings in the screenshots. 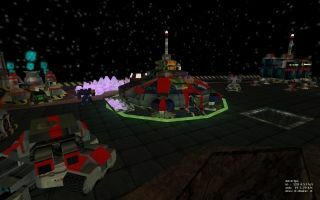 Docrock submitted another deathmatch map, after the success of his last one. Unfortunately it's not as good. The teleporters don't seem to have any indicated place to go, and it is rather random. The brushwork is mediocre at best, and the skybox is bure black with corny pictures of Mario on it. Overall, it looks nothing like the game it was supposed to represent (mario bros), besides having a pitch black background and having some pipes. I was expecting more from this Unreal remake, but it's rather dull. I think this is the first part of the game, as it seems to be some sort of escape sequence. It consists of walking through unimpressive hallways, then ends suddenly. I think a better part of the game would have been more appropriate to remake. This map wouldn't run on Steam Half-Life, so I cannot judge it. It was disqualified anyway, for use of illegal models. While the brushwork is good, this map is very confusing. The ship didn't open until about the tenth try, and the ride in the ship was boring and long. It crashed on a planet of some sort, where I proceeded to die slowly in toxic water with no apparent escape. I didn't want to try again. This looked roughly like the screenshots, but is so unbelivably short that it could not get any awards. You walk up stairs, theres a room, and that's it. Theres a ramp thing that you can go up (via invisible ladder) to a dead end. Textures and details are minimal. Skals was banned during the competition, and was disqualified. This remake of the first level of DOOM had a decent layout, but the texturing, weapon, and prop placement is horrible. I think that 90% of the map is one texture. Nice to see the secrets included, but I think that DOOM actually looks better than this map. This is a remake of a level from a Commander Keen game. While I'm sure it's similar to the game, the level of skill needed to do this map would be minimal. It's blocky, linear, and consists of two textures. One thing I can say is that the score counter is a nice addition. Ignoring the fact that this is an aim map, the texturing on this map is pretty bad. Tip: turn texture lock on before you rotate your crates! The displacements are really pointy and unrealistic, and rough in general. Processed in a not very sarcastic 1049 milliseconds.